Janet L. Austen, 81, of Leesburg, passed away on Thursday, December 6, 2018, at Court House Manor in Washington Court House. Janet was born July 8, 1937 in Lees Creek the daughter of the late Dwight W. and Alma M. Compton Bentley. In addition to her parents, husband, Jim Austen, preceded Janet in death on July 2015. She is survived by children: Carol Davis, Leesburg; Bruce (Tammy) Davis, Wilmington; and Denise (Dan) Fraysier, Caledonia. Also, left to cherish her memory are grandchildren: Ryan (Sarah) Davis, Maineville; Danielle (Jesse) Happ, Williamsport; Derik (Tracy) Melson, Altus AFB, OK; Nicole (Adam) Haines, Leesburg; Clayton and Lauren Fraysier, Caledonia; along with great grandchildren: Cameryn, Tyler, Parker Davis, Jackson, Jude Happ, Ava Melson and soon to be born Joel Melson, Nash, Brant, Blake, and Hallie Haines; a sister, Carolyn (Max) Sharp, Sabina; nephews Keith (Leslie) Sharp and Steve (Cris) Sharp; nieces, Debbie (David) McKenzie, and Patti Flint; and several great nieces and nephews too. 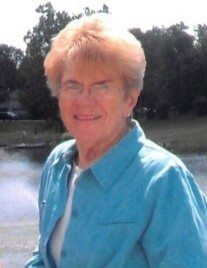 Janet served as Postmaster of Lees Creek and Leesburg for a combined total of 34 years, retiring in 1992. Janet was active in the Ohio Chapter of the National Association of Postmasters of United States. She served on numerous committees, in addition, serving as the editor of The Buckeye, State President, and National Convention Chairman for the National Postmasters Convention held in Columbus, Ohio in 1984. After retiring, Janet served as President of the National Association of Retired Postmasters. Janet had the pleasure to travel to many states to attend state and national conventions. Many friends were made throughout the United States during this time. For many years, Janet and Jim attended the Legislative Conference in Washington D.C to meet with State Representatives, often taking granddaughter, Lauren. A member of the Leesburg United Methodist Church, Janet served on various committees. Janet’s passion was serving as Mission Chairman and working each year collecting items and distribution of Franklin Graham’s Operation Christmas Child Shoebox Ministry. Janet and Jim traveled to Boone, North Carolina for many years helping in the final distribution of the shoeboxes to be delivered throughout the world for boys and girls. With the help of family, Janet’s shoeboxes were packed and delivered this year. In retirement, Janet enjoyed piecing quilts and created hundreds of beautiful quilts for her children, grandchildren, and great grandchildren. Christmas tree skirts were pieced and quilted for her family’s 2018 trees. She donated many quilts to River Valley Schools for band and volleyball fund raising. Family always came first for Janet. she never missed a birthday, anniversary, or special occasion without mailing a card. She thought it was important to always take the time to write a personal message. She was known for underlining the card’s messages. Janet was an excellent cook. She always had ones favorite homemade cookies, pies, and food ready for visits. She made sure the grandchildren were well supplied with grandma’s strawberry jam. Janet always looked forward to spending time with her children and grandchildren. A 30 year family yard sale was a great excuse for the entire family to spend the weekend eating and visiting. An August vacation to Florida and a September weekend in the Amish with her daughters and grandchildren, playing cards, eating lots of snacks and Janet enjoying her Diet Coke will be a lasting memory. Family will receive friends at Littleton Funeral Home, Sabina, on Sunday, December 9 2018, from 2-4pm. Funeral services will be held at the Leesburg United Methodist Church on Monday, December 10, 2018, at 11am. Burial to follow at Centerville Cemetery, Lees Creek.